August 18, 2016 August 14, 2016 / Elizabeth T.
I know too much exposure to heat isn’t good for the hair, but despite knowing this, I know we’re all guilty of using heat tools, whether it’s in the form of a blow dryer, curler, or flat iron, and just like you, I’m no exception to this. I try to limit my hair’s exposure to heat tools, but there are just some days where all of the stars in the universe are aligned to give me a bad hair day, and on days like this, I opt for a flat iron to give my hair a quick fix so I can at least look presentable and not freak the whole world out with the messy bird’s nest sitting on top of my head. 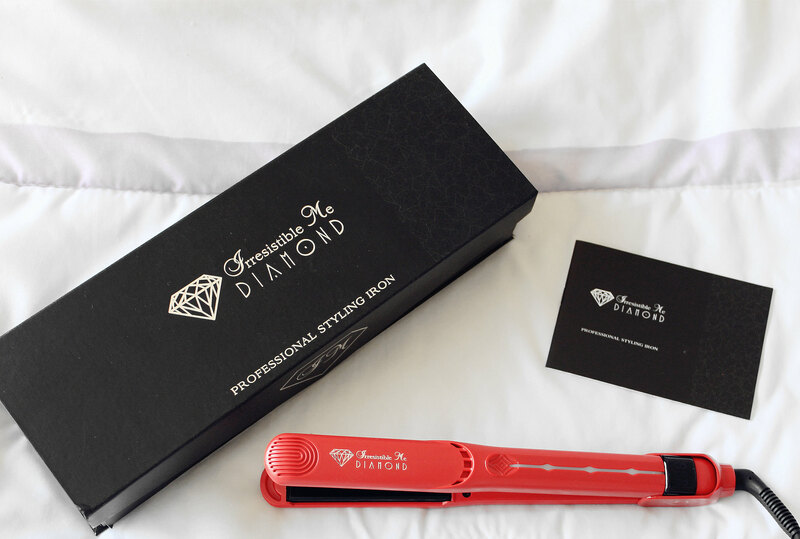 Lately, I’ve been loving this Diamond Professional Flat Iron from Irresistible Me, one of the fastest growing brands that specialize in 100% natural Remy clip-in hair extensions, hair accessories, and hair tools. 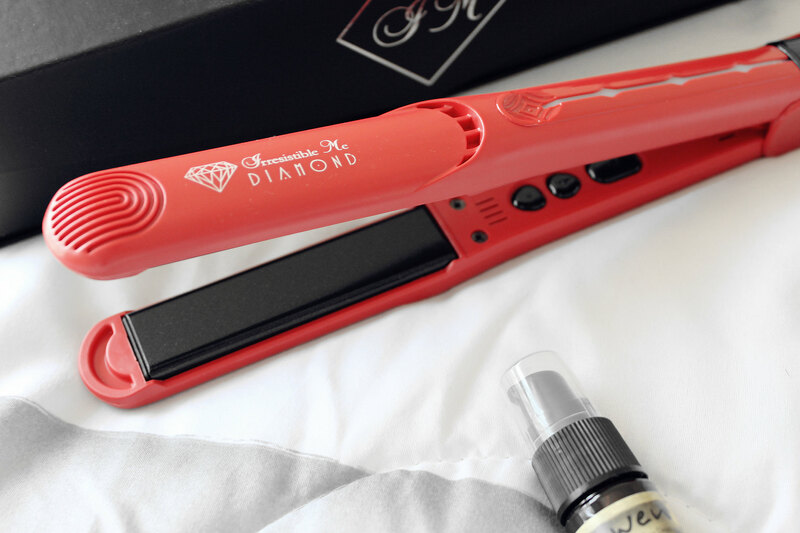 Not only does the ceramic flat iron heat up super quickly, I love how the crushed diamond particles and tourmaline on the coated plates protects the hair and keeps all of the hair’s natural oils, colors, and moisture, leaving hair healthy, shiny, and frizz free. Aside from these amazing aspects, my favorite features are the buttons, which are on the inside of the flat iron, so you don’t accidentally change the settings while you’re doing your hair (also known as story of my life because this literally happens to me. Every. Single. Time.)! Apart from all of these super cool features, what I love the most is how light the iron is! I’ve never had an iron that was this light before, and at first, I was a little hesitant because I wasn’t sure if its weight suggested flimsiness, but it surprised me with its efficiency. What’s even better is that the weight makes this iron perfect for traveling because it won’t weigh down or take up too much space in my luggage. If you’re on the hunt for a high-quality yet affordable ceramic flat iron, definitely do give Irresistible Me a look because they not only offer great styling tools and hair extensions, their customer service is also exemplary (thank you so much for always being so kind and helpful, Blair)! 🙂 And another big plus? The packaging is so sleek and chic! Do you use heat styling tools as well? 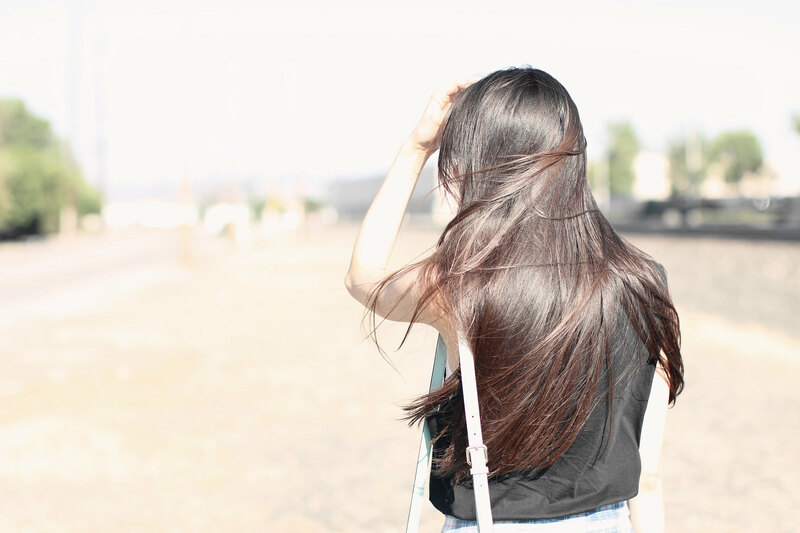 And if so, what are some of your tips and tricks to keeping hair healthy and shiny? 🙂 Let me know in the comments below! Always love hearing from all of you! 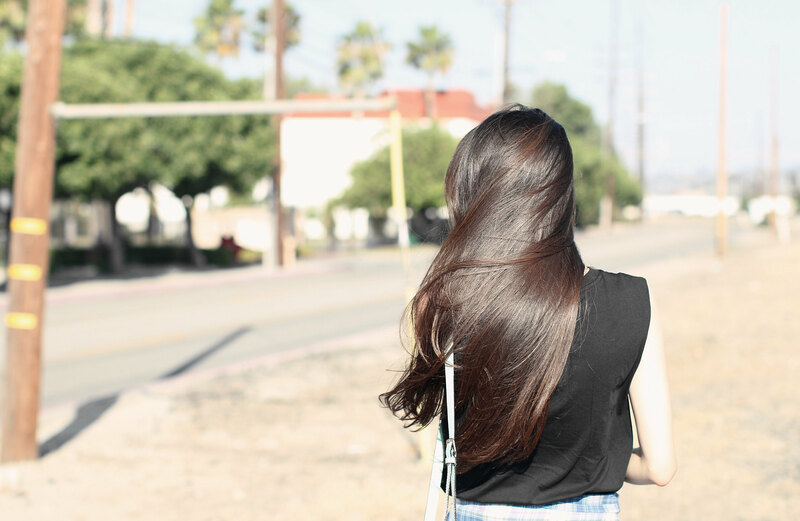 I know what you mean by bad hair days…Love how shiny, straight, and sleek your hair is! What products do you use to keep your hair looking so healthy? Great review! I use NuMe’s curling wand and flat iron. NuMe is good too! Beautiful hair! This iron looks so nice! Thank you so much love ❤ 🙂 And yes, the iron is perfect! Your hair looks so beautiful! Such a great post! Thank you os much Jane ❤ 🙂 You're too sweet! I love a good flat iron! Mine is currently broken so I have been only doing a blow out until I get a new one. I will definitely check this one out before I decide which one I want to purchase! Thank you so much Josipa ❤ 🙂 You're too sweet! Aww thank you so much Tina ❤ 🙂 And yes, I use hair oil at the ends of my hair too because it makes it so soft! Wow… your hair is so shiny and healthy until the ends. your hair looks amazing and so shiny, i love it. Thank you so much Elena ❤ 🙂 You're too sweet! Do you recommend any particular hair products? Your hair is so sleek! Aww thank you so much Anjali ❤ 🙂 You're too sweet! Ohh my goodness your hair is beautiful girl, don’t ever cut it! Aww thank you so much love ❤ 🙂 You're too sweet! Hahaha I was actually just thinking of getting a little trim, but I also know that I'll miss it! Your hair is so pretty! Great tips. Seriously such hair goals! I love irresistibly me! They seriously do have the best customer service. Aww thank you so much love ❤ 🙂 You're too sweet! And yes, I love Irresistible Me! Hair goals! Will give this a try. Aww thank you so much My Linh ❤ 🙂 And yes, you should definitely give them a try! It does sounds like a fab flat iron!! Fantastic review, as always, lovely. Yes, I was very impressed with their hair styling tools 😀 Glad you like them as well! Hahaha and aww you’re too sweet Nadia! ❤ I definitely have bad hair days as well 😛 Hope you had a great weekend love!